Smartphones with quad-core processors that are able to deliver PC-like performance have finally been announced, but high prices and battery issues could potentially stymie adoption, analysts said on Monday. Quad-core smartphones will be faster than dual-core mainstream phones, which are now flooding the market. However, the smartphones could be priced at a premium because of higher chip costs, and multitasking and running power applications could strain battery life, analysts said. Quad-core smartphones with Android 4.0 were announced at the Mobile World Congress in Barcelona and are expected to reach market later this year. HTC’s One X, LG’s Optimus 4X HD and ZTE’s Era are based on the Nvidia Tegra 3 quad-core chip, and Huawei’s Ascend D is based on its own homegrown chip. But beyond performance, the smartphones need to be competitive on power and price, analysts said. As dual-core smartphones take over from single-core phones, quad-core smartphones will likely be targeted at high-end users. Quad-core chips are generally costlier than dual-core chips, and that will be reflected in the higher prices of smartphones, said Jim McGregor, chief technology strategist at In-Stat. 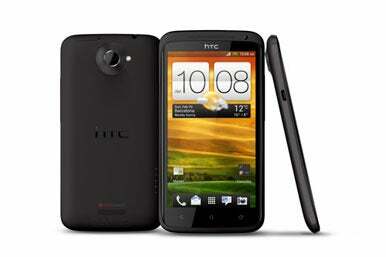 Buyers may consider quad-core smartphones if they need performance, or are looking to use it as a hybrid PC device. Smartphone shipments are growing through subsidies offered by carriers with contracts, and dual-core smartphones are taking over that market, McGregor said. In developing countries where phones aren’t subsidized, quad-core smartphones could be priced at a premium, which could stymie adoption in those areas. Quad-core chips could also strain battery life, McGregor said. Smartphones are already burning battery with 4G radios and high-definition screens, and running resource-intensive applications through quad-core processors and other accelerators could usurp power, McGregor said. Multiple cores in smartphones will ultimately be important, but it has to be appropriate to the phone design, said Jack Gold, principal analyst at J. Gold Associates. Applications need to use the four cores to squeeze out the best performance, battery life and user experience. “If you are a high end gamer on your phone, and the application you run and the OS powering it actually know how to use the multiple cores properly, you’ll certainly get a benefit,” Gold said. But most smartphone applications are lightweight and use little memory, and may not need the processing power of four cores. “The majority of apps don’t yet fully utilize full multithreading capability of cores, let alone the massively parallel capability of the many graphics cores available,” Gold said. But some chip makers are trying to minimize power drain to maintain battery life. Nvidia has said that its Tegra 3 quad-core chips delivers “amazing” battery life on smartphones while improving performance. The chip shuts down inactive cores, and also saves power through a low-power fifth core for secondary tasks such as text messaging and music playback. Tegra 3, which has four ARM Cortex-A9 CPUs, is already available in Asus’ Eee Pad Transformer Prime tablet, which has received positive reviews partly for long battery life. But devices like tablets run more demanding applications than smartphones, which justify the use of quad-core chips, analysts said. The jump in cores on smartphones is comparable to a core war that broke out in the PC chip market many years ago. Intel and Advanced Micro Devices added processor cores to laptops, desktops and servers to boost performance while cutting power consumption. However, the adoption has largely leveled off at dual-core chips in laptops. During a press conference at Mobile World Congress, Intel CEO Paul Otellini said what matters more in smartphones is not the number of cores, but overall system level performance. Intel is trying to make its way into the smartphone and tablet markets. “The core comparison is really improper in my mind, but what is proper is what you get in overall performance and the energy efficiency of that performance,” Otellini said. Nvidia’s rival Texas Instruments, which also makes ARM-based chips, is taking a back seat to quad-core processors, saying it will focus on dual-core processors for mobile devices because of power and price concerns. But once users see the faster quad-core smartphones, it won’t be easy to go back to dual-core, said Nathan Brookwood, principal analyst at Insight 64. Chip makers like Nvidia and phone designers are making progress in adapting quad-core chips for smartphones, Brookwood said. Android 4.0 is also more sophisticated in breaking down applications over multiple cores, and progress will be made going ahead with every OS update, Brookwood said. Further chip improvements are also coming through advances in through process technology, which should lower power consumption and improve chip performance, Brookwood said. Mikael Ricknas of the IDG News Service contributed to this story.